BPMN is a useful standard that enables us to model processes, whilst specifying detail about each activity at a very granular level. Yet it is also important to consider the data that the process will handle. 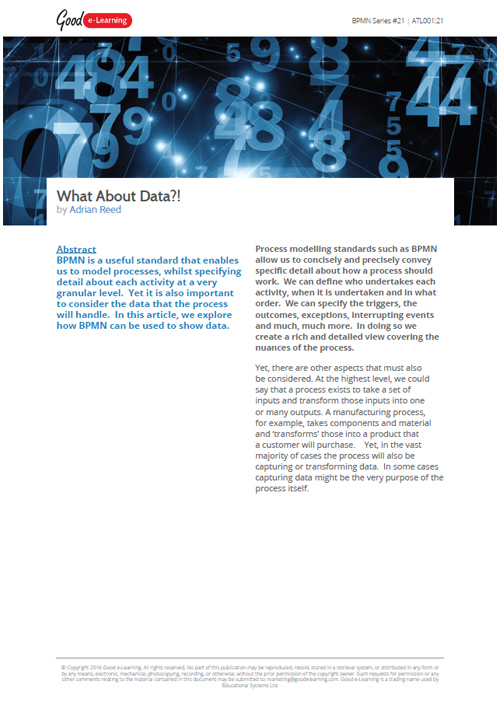 In this article BPA expert Adrian Reed explores how BPMN can be used to show data. If this BPMN resource interests you, why not view our BPMN 2.0 course. Or view our full library of downloads covering a wide range of subjects and domains!